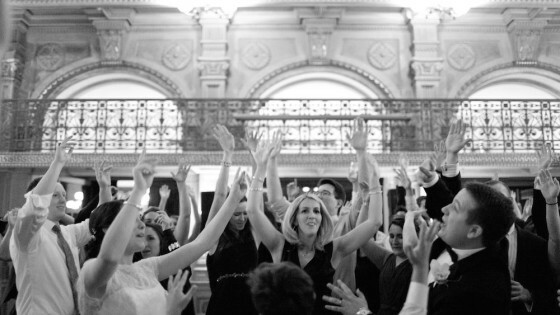 A few months ago, we sent DJ Jordan to rock out with Caitlin and Paul at the Peabody Library. After a gorgeous ceremony and the wedding party running around Mt. Vernon Square, everyone headed into the main library to party. Meiko’s “Stuck on You” played as their first dance, then the dance floor opened up. Everybody got rocking, including the kids! Check out the photos by Andrea & Renata.